While the first seed of American Freedom Distillery was planted during a 10-day horseback riding trip through Yellowstone in 2015, the true spirit of the brand was born during one of the nation’s darkest moments—September 11th, 2001. John Koko and Steve Neil—two of the three founders of American Freedom Distillery—fought alongside one another as part of an elite U.S. Special Forces Unit while deployed in the mountains of Afghanistan shortly after 9/11 and developed a friendship that would last a lifetime. Years later during the aforementioned Yellowstone trip, Neil, along with Koko and his wife, Elizabeth Pritchard, stopped at a distillery in the Grand Tetons for some rest and sustenance. The couple that owned the distillery took them back to see how they made their expressions, leaving the trio fascinated. From there they plotted a route back to Florida hitting every distillery they could on the way home. At the end of their trip, “What about craft distilling?” floated around in their heads and out loud in whimsical conversations. They wanted to explore more. Through a mutual friend, they were introduced to a distiller in Scotland who invited them for a visit. During their trip abroad, they learned about the operational side of things, the value of building your brand, how important packaging is and the latest innovations in production. 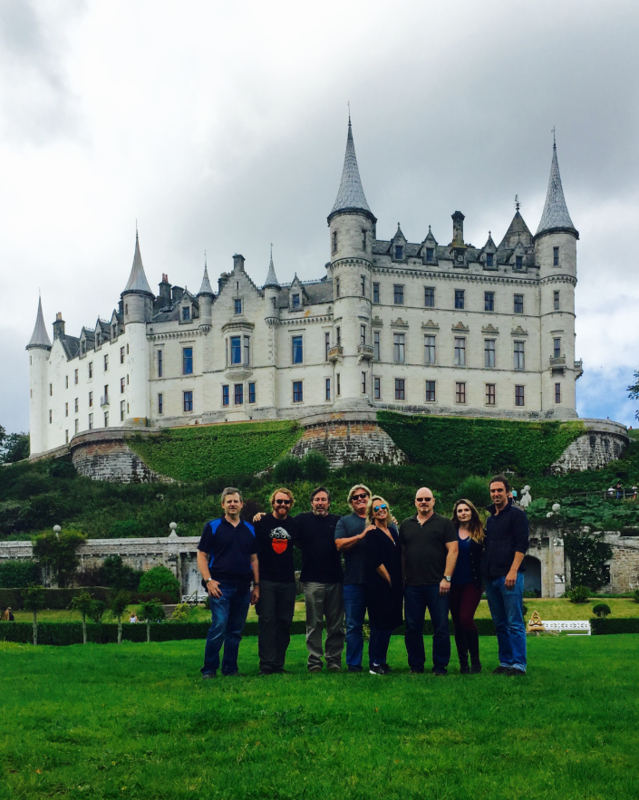 The Scotland experience and talking to other industry pros awakened a desire this crew didn’t know they had. After these insightful conversations, they came out of this knowing a few things: they had to be authentic with their ingredients and their brand story, and just as important, they had to have great packaging. “Customers see us before they taste us,” said Neil. Finally, they had to be sustainable and be able to produce a quality product over a long period of time. Every detail, big and small, were discoveries for this group. That’s when American Freedom Distillery was founded. American Freedom Distillery started with three people, Scott Neil, John Koko and Elizabeth Pritchard. They are now a team of 13 and banking on that team growing. “We are truly a family business. We’ve even got our kids helping put labels on the bottle. And that crooked label? That’s authentic!” Koko laughed. “I think that’s what is resonating with people today. Our legacy will be our spirits and our friends and family will remember us for that. When creating the name of their bourbon expression, one name stood out to them: Horse Soldier. Their crew in Afghanistan became known as the Horse Soldiers because they rode through Afghanistan’s mountains on horseback. A 16-foot-tall bronze statue at the Ground Zero Memorial depicting a Special Operations soldier was dedicated to this team in 2016. On why they chose to create a wheated bourbon, the answer was simple: they just preferred it. Koko admits it’s not the most cost-effective way to make bourbon because wheat is a more expensive grain, but they weren’t going to sacrifice that for what they wanted to create. They also weren’t going to sacrifice looking the same as every other bourbon on the shelf or behind the bar. Horse Soldier Bourbon features a bottle molded by steel salvaged from the World Trade Center. The American Freedom Distillery team handpicked every partner to make their dreams come true. A bottle manufacturer in Indiana for custom molds. A cooperage in Missouri for quality barrels. Corn from a family farm in Indiana where they picked it themselves. Wheat and yeast from a family farm in Montana. This bourbon is as American as it gets. The team really enjoys, perhaps demands, getting their hands dirty in the research and development phases of building their brand and each expression. They got into rum because they sailed to Mexico and wanted to learn more about how quality rum is made. And grown they have—the distillery beat nearly 30 rums to win the People’s Choice Best Rum Award at the 2018 Central Florida Rum & Food Experience. They’re exceeding everyone’s expectations, including their own. Horse Soldier Bourbon sold what had been projected to last an entire year — in one month. “If you love what we’re making today, give us 20 years to see what we’ll be making then,” Koko said.